This is it. This is the last in the series of articles you will read about one of the top five candidates before the mayoral primaries. It’s been a wild ride. While I don’t know just how maybe people we reached, I do know that if we got even one of our readers thinking about New Bedford and local politics in a different way, then it was worth all the time and effort. I hope you have enjoyed reading these articles as much as I have enjoyed preparing them for you. I refuse to keep jabbing at you guys to be involved. At this point, it’s up to you. I have done everything short of dressing up like Paul Revere and riding through the streets of New Bedford screaming “Face First is coming! Face First is coming!” Though, in retrospect, that might not have been the worst idea. Damn it! Anyway, I leave it up to you now. You can choose to make a decision that will change New Bedford, or you could choose to do nothing. In my last attempt to school you on our candidates, I met with Attorney Scott Lang to talk about his plans for our fair city. But before I get to the heart of his platform let me tell you a little bit about him. Scott Lang graduated from Marquette University in Milwaukee, Wisconsin in 1972 with a degree in History and Political Science. He attended Georgetown University Law Center in Washington, D.C. while working for the Democratic National Committee. He graduated from Georgetown in 1976, and was admitted to the Massachusetts Bar in 1977. 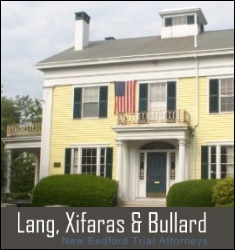 Having family and friends in the area, he moved to New Bedford in 1978 and began practicing law working for Attorney John M. Xifaras. Early in his legal career, he worked in the sports and entertainment law field, representing athletes and broadcasters. Attorney Lang has extensive experience in Labor Law and has represented both private and public sector labor unions. In addition, Attorney Lang has represented employers and business entities on statutory issues. He also has extensive experience in the areas of personal injury, catastrophic personal injury and workers’ compensation, as well as state and federal labor and employment law and Civil Rights cases. Attorney Lang has also been an Adjunct Professor at the University of Massachusetts Dartmouth since the spring of 1992, teaching numerous courses examining Employment Law, Labor Relations Law, the Presidential Nominating Process, courses on the United States Government, and Massachusetts Politics. He also serves as an arbitrator and mediator for Commonwealth Mediation and Conciliation, Inc. (CMCI); this work involves various types of cases. I spoke with Scott for a little over an hour. In that time he shared with me this vision for the city of New Bedford. Scott believes in local government from the people up, not from the top position down. He believes in talking to real people about real issues and coming to real conclusions. He refuses to work solely on one project that never pans out, but rather, emphasizes the importance of working on a multitude of projects to make sure most of them produce tangible results. Scott is a man who wants to make New Bedford a place you move to, to raise a family, much the way he did. He talks about the revitalizing the Downtown area with the same gusto many of our readers do. Scott also emphasizes the importance of getting a rail system from New Bedford to Boston. He has promised more than once that if elected he will be a public servant and respect the people of this city unlike past administrations. “To hear more about Scott’s vision for the city, and to ask him and the other candidates questions yourself, be sure to hit up Face First this Sunday, September 25, at the New Bedford Whaling Museum.